As a former futures trader at Chicago's Mercantile Exchange and Board of Trade, J is intimately familiar with the importance of pricing an asset. "There were many times where a matter of seconds would cost hundreds of thousands of dollars. Needing to understand the market's behavior and pricing was key to having a successful career. It's no different in real estate." 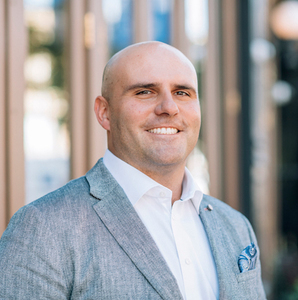 Maggio credits his trading acumen where he honed his analytical skills, and his degree in Finance from The University of Illinois Champaign/Urbana to his success as an agent. Over the past two years, the majority of his listings have sold in their first week on the market for their asking price or more. J enjoys being a real estate "counselor" for his clients, helping them to understand everything there is to know about the buying and selling process, and to feel comfortable with the emotional and financial undertones that go with it. His natural ability to advise and guide people to success over the years, even in the worst-performing markets, is a testament to the experience, knowledge and dedication that make him stand out among his peers. It's no surprise then that in his many years in real estate, J has ranked among the Chicago Association of Realtors' Top Producers and been honored as an @properties Road to Rolex recipient. He has also advanced in his industry earning such prestigious designations as Accredited Buyers Rep (ABR), Certified Negotiations Expert (CNE) and Short Sale Foreclosure Resource (SFR). While he is proud of these accomplishments, what means the most to J is that his business is built almost entirely on referrals. "Buying and selling a home is an extremely emotional undertaking - one that I've experienced personally, so I can relate to it well. Many clients have become good friends over the years." This is also evident by the attendance at his client appreciation events. In July, he'll be hosting a "Family Day at the Races" at Arlington National Racetrack. J began his real estate career in 2010 with a focus on Chicago's downtown neighborhoods. As his clients' families grew and started leaving for the burbs, he expanded his focus to include the Western suburbs where he also specializes. His diverse clientele ranges from first-time buyers to sellers and investors of single-family homes, condos and multi-unit properties. "Our role as agents is not about opening doors and showing houses; it's about educating our clients on the right type of home and neighborhood that fits their needs. I enjoy the challenge of finding that perfect match." They genuinely appreciate his unfiltered, honest assessments and opinions that inspire the most informed, confident real estate decisions. J lives in the western suburbs with his beautiful supportive wife and their four amazing children that include two-month-old twins. Having recently built their new home has given him even greater insight on the design/build process of new construction. J believes in treating everyone like family, as he does in giving back to others through involvement with charitable causes like One Tail at a Time and Charles Tillman's Cornerstone Foundation. I am writing to give J Maggio my highest recommendation. J possesses all the attributes necessary to be an excellent broker: he knows the market extremely well; he is diligent, responsive, and yet very patient with his clients. J is both very professional and personable. In my particular case as a seller of a condo, there were many rough spots on the road to closing and J was a great help! Where do I even begin. There are no words to begin to explain how amazing J is. We were on a very tight timeline, and he went above and beyond to exceed our timeline. He was always quick to respond and worked around my husband and my limited schedule. We now live in our amazing house. I can't give enough gratitude to J. He is truly the absolute best in the industry! I promise you will be thrilled. J Maggio went above and beyond the call of duty to accommodate my family's needs in the sale of our home and in the search for our new home. From listing to closing J was involved and engaged. J knows more about real estate than anyone that I have ever worked with! We purchased our first home over the holidays, and it ended up being a very competitive situation - with J's help we were able to get a home that we love. J helped us through every step, letting us know what documentation we needed when, and how everything would work. Through all of the homes we viewed, we felt confident that J knew the right questions to ask, and red flags to look for. We knew he had our back and wanted to make sure we got the best home possible. J did an excellent job selling my condo. We received 10 offers the first week and closed for 20% over list price! He knows the market extremely well and is very passionate about his work. He keeps you informed and updated throughout the entire process. I could not have been happier in selecting J to sell my property. I highly recommend J. Knowledgeable. Trustworthy. Responsive. Helped us find the home that matched our needs. We will recommend J to anyone. We will always use him for any real estate needs. As first time home buyers, J's knowledge and expertise was extremely valuable. He was open and honest with us from the beginning and truly took the time to listen to what we wanted, and not what he wanted to sell us. He has extensive knowledge of the real estate market but also a strong understanding of building materials which is important when investing. He has a great sense of humor but maintained professionalism throughout our work together. He was also very responsive and available to us whenever we had questions or concerns. As excited as my husband and I were to purchase our first condo, we wouldn't have minded if the search took a little longer than we planned as we truly enjoyed working with him! My wife and I were first time home buyers, and J helped guide us through the home buying process. During our initial meeting with J, he sat us down and broke down every step of the process to ensure there would be no surprises. With J's knowledge of the area he helped us find exactly what we were looking for. When it came time to submit an offer, J helped navigate the entire negotiation process while ensuring we felt in control. When our final offer was accepted, we walked away completely satisfied. J also made himself available 100% of the time at any hour of the day, we always knew if we had concern or a question J would always answer the phone willing to discuss. J is a true professional that made my home buying/selling experience pleasurable. It's a rarity these days to find an agent that is honest and dedicated to helping his client instead of being focused on the commission. J is incredibly knowledgeable about the real estate market and I would never use any other agent. I recommend J to all buyers and sellers looking a true partner and great experience. J helped me sell my home back in 2008 (when it was not an easy time to do so) and I was very pleased with the service that was provided. So much so that I had J help me buy my new home in 2011. I found J to be very patient and giving with his time as we looked over numerous properties to find the right one. Thanks for all your help. J was extremely helpful and knowledgeable and patient throughout the entire process of purchasing our home. This was our first home purchase and we wanted a home that we could renovate and add our own style and space. It took us several years to find the perfect home; he gave great insight into negotiating and helped us make a good purchase; and, we are extremely pleased and happy to be in our home. We highly recommend; he is true real estate professional. I have known J for years and have recently had the pleasure to work with him on the search for a new home. Not only was he exceptionally responsive, he created a diverse viewing schedule customized to a combination of different house factors and downtown commute scenarios from the suburbs that my wife and I were considering. J will take the time to learn what's important to you and use his expertise to find your "wow" home in your budget! J Maggio was a tremendous help, not only in selling our old home but in finding us our new dream home. Like most sellers, my wife and I were nervous about selling. Would we sell our place quick enough, would we have to bend on price, would their be enough interest? All of our worries went away within one day. Our condo sold the day it went on the market. The buyer offered full price for our unit and my wife and I were able to move forward with our new home. I attribute the quick sale to J's pricing expertise. My wife and I also listened to and executed J's instructions as to how we could prepare our home for the market. We saw several properties in the western suburbs of Chicago with J. Through out this process J listened to our feedback and was determined to find the right home for us. Ultimately, J suggested that we meet with a couple of builders who owned lots in the town we were most interested in. My wife and I fell in love with one of the plans for a new build. We could not have purchased a better home for our taste in our price range. J got us a home run. J had everything to do with us finding our home. J is honest, sincere, hard working and knowledgeable as a realtor. I have recommended his services to my family and my friends as I trust they will benefit from J's expertise. Not only is J good at what he does but he has a strong network of professionals that help you through the process of selling or buying a home. We hired J to sell our home last year and couldn't have made a better decision! J spent a lot of time educating us on the market and had a very impressive marketing plan. J understood the difficulties of trying to sell your home with 2 small children and helped us navigate through it. In the end we sold quicker and for more money than we could have ever hoped for! J is amazing and is our ONLY agent we'd ever work with again! My experience with J Maggio was impressive. He was extremely helpful in guiding my first home purchase. J had everything covered from sending a vast array of the potential homes to the list of tasks I should complete after purchasing my home and tips for making the transition smooth. I felt confident about the process in between because I knew J had everything in order. I also appreciated his honesty throughout the process and regarding some of the listings we looked at. As this was my first home, he was very quick to point out potential red flags which I would not have been aware of. This made it clear he had my best interest in mind which lead to finding the right home for me. J negotiated very well and assured me that things happen for a reason and if this didn’t work out a better home was waiting. Thanks to J, I get the house and I am now loving my new home. I would recommend J to anyone buying or selling, city and suburbs. If I decide one day to move, I know I'll be calling J Maggio. J has been a driving engine for my wife and I as we search for a permanent home. Being a father and family man himself, he understands the needs and obstacles that we're faced with, and he presents us with the information and data that help us make our decisions well-informed. His work ethic and passion for helping people in his profession is unmatched in anyone I've ever worked with. J was great to work with. He made the entire experience very enjoyable, and as stress-free as possible for a first-time homebuyer. Also, when complications arose with the seller, J was extremely attentive and helped us navigate through the closing process. It's clear that J cares a lot about his clients and he is surrounded by an A+ team. Our mortgage lender and attorney both came from his recommendations and we were extremely pleased with them, as well. Working with J was a great experience. He is skilled and knowledgeable. He understood our objectives and was always respectful, but he did not hesitate to provide his input. If not for J, I think we would have listed and sold our home for far less than we did. Issues arose during our sale that seemed unusual to us, but J handled them all with aplomb, as if he had done so on dozens of prior occasions. He's also a great guy. J is a true professional. He provides great advice, sets realistic expectations, and is always responsive. He created fantastic marketing materials including professional pictures that generated significant interest in our home as soon as the listing went live. We have already recommended him to family and friends! J answers his phone and you can speak to him live. He returns calls and acts promptly on all aspects. He is trustworthy and experienced and made working with him easy and fun. We have done many deals with him throughout the years and will continue. J did an exceptional job listing my home for sale. He was able to get 96% of of the list price and was easy to work with. I highly recommend working with J selling or buying a home. J is a consummate professional. I contacted J a year before our home search and let him know my timeline. J was great about respecting that timeline and not pushing to move before we were ready. He gave me the information I needed at that early point to plan out our move with no commitment. Once we started the process, J was great about explaining steps in advance, setting realistic expectation on pricing and helping my wife and I discuss each step and come to a resolution. The great thing about J is he makes the home buying and selling process about what you need. I never felt once that his interests weighed into the equation. He is a fantastic realtor and I would highly recommend him. J is not only skilled at his job, he is also a joy to work with. From 2014-2105 J worked with my husband and I to buy a single family home and sell our condo, both in Chicago. He was patient, flexible and efficient with our budget, new home requirements and time. He knows the Chicago market well and helped us navigate neighborhoods and schools to meet our needs. I am extremely satisfied with the price and time in which we sold our condo, and I couldn't be happier with our new home. I highly recommend J for your buying and/or selling needs. J is a great fund of knowledge and extremely patient and accommodative to our needs. We have bought two homes with him now and will continue to recommend him to all our friends and family. J did a fantastic job helping us find and purchase our first home. I felt that: 1) He is very in tune with the market (pricing, inventory), and 2) He was very careful to assess what WE were looking for and help us narrow our search. As a result, the process was extremely efficient and we ended up with a better-than-expected result in a sellers' market. He also helped us navigate the whole process and keep it as stress free as possible. He is a wonderful guy and fun to deal with. We were able to sell our home quickly and the process was a breeze thanks to J. He kept us informed and made sure everything stayed on schedule. He went above and beyond multiple times as we were out of state during the selling process. HIGHLY recommended. Would work with again in a heartbeat. J is a great professional with extensive knowledge of the Chicago market, and was always available to help guide me through the process and answer any questions I had, which was particularly important to me a a first-time seller. J was great! He was responsive to each and every one of our questions, which were probably annoying at some point-although he never let on, and was on the ball. Not being from Chicago, it was intimidating to come and have to find a place to call home. J's knowledge of the local areas and amenities was extremely helpful. He really came through for us and found us just the right place in a highly competitive market! J was referred to me by another agent that focuses a lot on the Lincoln Park area and he wanted me to be in the hands of someone more familiar with the greater Chicagoland area. I'm grateful for the honest referral and J was a good fit for our family. He was responsive, made himself available to our schedule and was patient while we worked through the home-buying process. Plus, J is just a nice person, so when you have to spend countless hours and weekends with someone, he is a good choice! I'd definitely recommend J for listing or buying services. Working with J was a pleasure. He made everything easy, especially after I had to move out of the state before my condo sold. He was very responsive to any questions or concerns I had. He was also very honest and patient when the first offer on my condo fell through and did his best to keep my unit showing and finally getting it sold for a good price. J has been very responsive and helpful in any aspect of my house sale. He is a true professional. Open and honest. He gives excellent and helpful advice. I can only recommend him. My wife and I highly recommend you go with J Maggio. From the day we first met we were confident J would get the job done for us. At every step of the selling process, J knew exactly what we needed to do. Don't settle for second best...Call J today! J Maggio sold us our house and then sold it for us. He is very knowledgeable and made both processes very easy. He knows Chicago very well and is good at negotiating for you. Thank you Jay!!!! We worked with J on both the sale of our Chicago home and the purchase of our home in the suburbs, and had a great experience each time. J was practical, friendly and efficient with our sale. It was an extremely smooth transaction, in large part due to his help. When it was time for us to purchase a new home, we were very cautious with our choice. He was incredibly patient throughout the entire process and provided useful feedback to help us make some very difficult decisions. We certainly appreciate all of his hard work with us and would definitely enlist his help again should the need arise. Selling a home is a very stressful process and J brought his enthusiasm, market expertise and a sense of urgency to the table. He was very involved every step of the way and extremely responsive. He set reasonable expectations with us and with prospective buyers. From the beginning, it was clear he was prepared to do whatever he could to make sure the deal closed. Additionally, he was straightforward, easy to get along with and he made a very anxiety filled process much more comfortable. He is truly passionate about what he does and he's an honest person. J Maggio was not only able to help us sell our home but also found us a new one in our preferred location, on the timeline that we needed. He made our selling and buying experiences absolutely wonderful. I've recommended him time and again and will continue to do so. My friends to whom I have referred him have been over the moon. J is great. J was very helpful in both the sale of our old home and in buying our new home. He made what can be a stressful process a pleasant one. We would absolutely work with him again, if the time comes, and would highly recommend him to anyone looking to buy or sell their home. J is extremely responsive and has the insight to answer any questions or concerns about houses themselves, or the city and neighborhoods. I bought a place and sold it and bought another through J, all have been very smooth processes. J Maggio did a great job selling our Condo earlier this year. We found J easy to work with and he provided good advice. He supervised the creation of online and printed materials that facilitated the sale. He and his associate did a number of showings. Ultimately, he accurately predicted the selling price and approximate timeline for the sale of our Condo. The selling market wasn't very strong for units in our price range at the time we were showing, but we ultimately had success with J's guidance. Working with J was a great experience from start to finish. His expertise of Chicago real estate is evident, and he showed us many places that fit our criteria. He was extremely flexible when we asked to go to showings, and always made himself available for our questions. J is very funny and easy going, which made the entire process enjoyable. We will most definitely work with J for all of our future buying and selling needs. J was great! Very helpful throughout the process, and he really helped us choose our home as we were debating between Western suburbs (Wheaton and Glen Ellyn). Thanks J!! J helped us buy our first home, we love to come back to, after a long day of work. Our first meeting with him was very professional at his office. He walked us through his experience, process and what to expect from him as a realtor. At the same time, ensuring that we are serious about this too. He listened to our needs and got a sense of our ideal home. The same night, he sent a list of prospective units, to see what piques our interests. It was smooth sailing after. My husband and I wanted to buy a condo in downtown Chicago. We saw about 50 units over the span of 3 months early fall 2015. We saw about 5-6 houses every visit. Since we didn't own a car, J generously gave us rides to these condo visits. He took a great deal of interest in showing us homes, with a great balance between what my husband and I liked. J is very knowledgeable and very reasonable in guiding us pick the right place. Sometimes it’s easy to overlook certain things and he steered us away from some bad choices, rightfully so in retrospect. (Thank you J!) The home we bought was what we saw in our second week. The negotiation process was long, but J was confident and patient that it will work out in our favor. Ultimately it was our decision, but he definitely helped us identify pros and cons, and provided helpful recommendations. He also recommended a great attorney and inspector. At every milestone in this process, he would send emails of what to expect step by step. This helped us stay very organized with our paperwork, finances and overall plan. He is very thorough, organized and a delightful personality to work with. This whole process was very effortless and we would do it again with J.
J is an excellent realtor. He guided us through each step of the way with a thoughtful and accurate plan. He kept us informed throughout the whole process. He sold our townhome in a month for close to asking. He is quick to respond and offers sound advice. We highly recommend J and will continue to do so! J Maggio was great to work with and we would definitely recommend him for anyone looking to a buy a home. He helped us narrow down our search for a home knowing our price range and location preferences. During the sales process, J's knowledge of the market and process left us with exactly the home we wanted within our budget. Thanks j! J's knowledge of the local market was an invaluable resource while searching for a condo. After starting with a large radius, J helped narrow my search down to the West Loop. His patience and familiarity with the neighborhood was critical, as was his responsiveness while competing in a hot market with limited supply. I will use J in the future and continue to refer him to friends and family. We've worked with J a few times regarding the purchase and selling of a few properties. He's always done a great job. Always quick to respond to questions and concerns and made the process stress free.